We have visited the Florida headquarters for Yowza Fitness on multiple occasions. Unfortunately,our opinion of this company has changed in recent time . What used to be a small company with excellent management and customer service seems to have turned into a struggling operation. 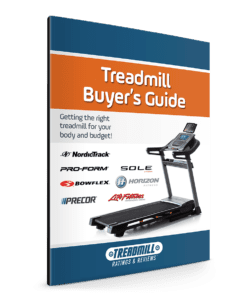 It is our opinion that you would be better off buying a treadmill from a more established and reliable brand like Sole, Bowflex, or NordicTrack instead of risking a purchase from Yowza. In fact, it seems that Yowza Fitness has gone Out of Business. We will keep our eyes on them to see if they pop back onto the scene in the future. The manufacturer for Yowza Fitness is a Taiwanese company called GreenMaster. They were in the business for over 25 years and shipped fitness equipment to over 47 countries. Yowza Fitness was their factory direct outlet in the U.S.
Quality Components — The reliability of the components really impacts the durability of the treadmill and future servicing. The components in the Yowza treadmills have very good track record for parts including the motor, computer, belt, and deck. Extended Warranty — Most of their treadmills came with an industry leading lifetime motor, 5-year parts and 2-year labor warranty. This extensive coverage suggests these treadmills were both low maintenance and reliable. 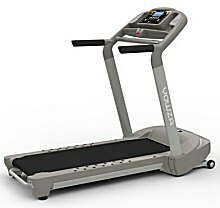 The focus of the Yowza treadmills was to provide a solid machine at a value price. You won’t find any frills like built-in TVs, audio coaching by celebrity fitness trainers, access to online journals, or video displays on the console. The investment is in reliability and providing the user with the best walking, jogging, or running machine for the price. Transformer Deck Design — This feature can be found on their Lido, Osprey, and Sebring models. Transformer treadmills offer the solid and stable benefits of a non-folding treadmill in a treadmill that can fold. Most folding treadmills use a sub-frame that compromises the stability. With the Transformer models, the entire frame raises and lower, giving you a much more stable running surface than you will find on typical folding treadmills. They also fold up incredibly small compared to some of the competition! Motion Control – Our favorite feature on the Yowza machines is the Motion Control. Sensors on the side handrails are positioned so you can simply wave your right hand to speed up the machine. Wave your left hand to slow it down and wave both hands to stop the motion. This is a great improvement over punching buttons mid-workout and can only be found on Yowza treadmills. Intelligent Weight Management — The company realized that weight management is an overriding concern for individuals who buy fitness equipment. The Intelligent Weight Management feature allows you to manage your weight by defining your exercise routine based on your weight gain or loss. With your purchase, you receive a weight scale that communicates your weight and body mass stats to the treadmill. Press ‘Start’ and IWM will adjust your workout time, speed, and incline automatically to make you burn a pre-prescribed amount of calories based on your real-time data. MyLiveLight – This app works in conjunction with the IWM system to help you track your workouts, goals, and nutrition. You can register for a free account and see a virtual avatar running on your smart device screen during your run. The features on the MyLiveLight system will help you keep better track of your fitness so you can see real progress towards your goals. Read more about My Live Light here. Simple Assembly — Several of the models require minimal assembly. You can lift up the console, add a couple of screws, and be done. Speakers and iPod Docking Station — Speakers in treadmills are becoming fairly common, but not all systems are the same. Many machines have speakers that are basically an embarrassment. 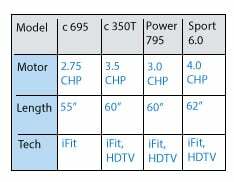 We would rank the Yowza speaker systems as above average in quality and sound. The higher price models have iPod docking stations rather that MP3 plus-ins. The direct docking stations offer better sound quality. Fitsound Music Streaming – Several of the machines are Bluetooth enabled so that you can play music wirelessly from your tablet or smart phone. It is also possible to answer your phone directly on the console when you have an incoming call. Swing Arm Shock Absorption — The majority of Yowza treadmills use their patented Swing Arm Shock Absorption. Rocker arms towards the front the deck act like hydraulics. With each step, you can see the deck give with the impact, reducing the shock to your body. As your foot moves down the deck you get a solid push-off towards the rear. In addition, there are a series of rubber grommets, called elastometers that run the length of the deck to further absorb the shock. Yowza treadmills were primarily about substance. They were still good machines, but the company is out of business we no longer feel confident in recommending their products. Instead, we would recommend you check out a brand like Sole, NordicTrack, or Bowflex. These are stable operations that are going to be able to stand behind their products long term. Also see reviews on Yowza Elliptical Trainer reviews. Yowza offers their innovative cardio core training on several of their models. You get a serious cardio workout while also targeting your abs.